In my previous post I offered a definition of “education.” I must next set forth just what is meant by “history.” Once these two definitions are in place we will be able to explore their relationship. Yet, in spite of the discouragement of defining history from Lukacs, a general definition is necessary in order to proceed. “History” as such seems to sit between science and poetry as a discipline and practice, incorporating elements of both. The English word “history” is derived from the Greek ἱστορία (historia) and according to the Liddell and Scott Greek-English lexicon denotes “knowledge or information obtained by inquiry.” It is in this way that history relates to science. Both science and history are concerned with a kind of knowledge that comes only after research, and both attempt to prove or justify their claims. Hence, Aristotle titled his study of animals, The History of Animals. It is not the past events of animals or tales of animals in the line of Aesop, but rather a study or inquiry of what he discovered about animals as the result of his research. In our time we might entitle Aristotle’s work as a “study” or “science” of animals, but this similarity between history and science is quite informative for the definition of “history.” First, history is not necessarily concerned with natural, universal laws of the physical world, but the particular events of the past. That is, it is the knowledge of what happened in the past. In this way, we can also speak of certain natural sciences as also being a “history.” Geology might constitute both the natural laws of rocks and planets, and the history of those particular rocks on Earth that explain its current state. In fact, some scientists have argued that a study of the history of a particular science is the best way of studying that field itself. 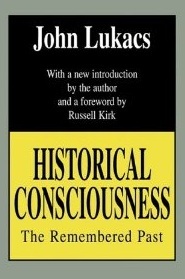 “In the twentieth century some of our best physicists have suggested that the clearest explanation of the new concepts of physics may be that of the history of their development…the history of chemistry is chemistry itself” (John Lukacs, Historical Consciousness: The Remembered Past, 6). It is in this way that history was distinguished from poetry. Though both relate to what is known, historia relates to that which is known as the result of research. Both Homer and Herodotus wrote concerning the Trojan War, yet Homer’s is poetry, while Herodotus’ is history. The difference is that Herodotus intentionally set out to investigate the claims that people like Homer have made about those events. Says Herodotus, “I made inquiry, whether the story which the Greeks tell about Troy is a fable or not” (Herodotus, quoted in, Mortimer J. Adler, ed. “History,” 547). This relationship to poetry helps explains why history was one of the Nine Muses. Clio stands next to comedy and tragedy as art forms, requiring or offering inspiration. This would seem to suggest that there is more to history than just a scientific analysis of past events. History unites the investigations of past events with the poetry and prose of narration and storytelling. It is the investigative process whereby the historian determines what has happened in the past. It is the narration which communicates those events to others. While certainly more could be said about the nature and philosophy of history, this brief description will suffice for the purpose of setting history as a topic within educational curriculum. Happy Birthday to Emily Dickinson!